The shape and the power of the blog. Of course, I didn’t want to jump in too early — so fast forward however long it takes for DLC cycles to run these days, and here I am with a complete Game of the Year Edition. 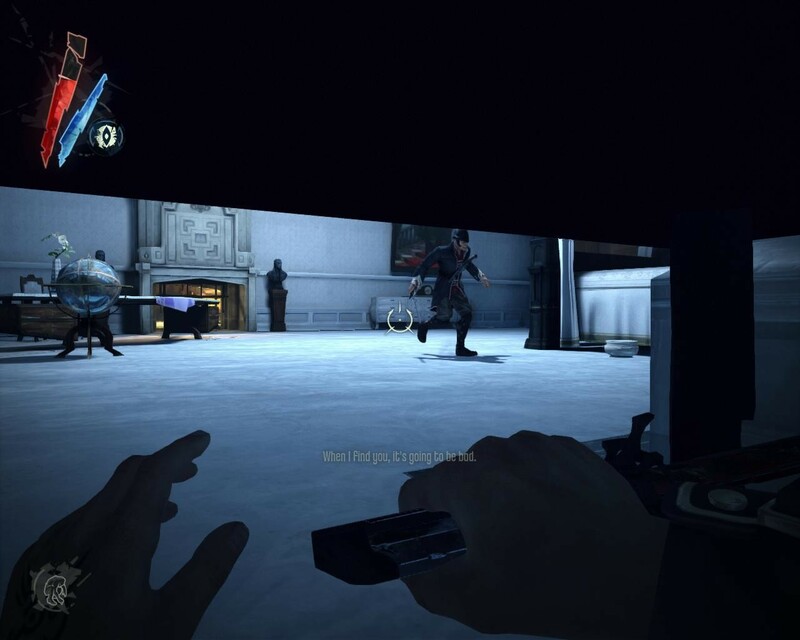 The first thing I noticed on being let loose on Dishonored was the freedom of movement it offers. Sprinting isn’t limited to five-second bursts, for a start — but it’s the running and jumping and mantling that really take the biscuit. It seems like a simple thing to be gushing over, but this is a game of clambering over rooftops and sliding through shadows: movement is everything, and the collection of capabilities assembled here is smooth as butter. The world is full of ledges and mantling is perfectly implemented, allowing you to jump up, over gaps, and it’ll even crouch you to let you clamber up into confined spaces. If a ledge looks like you can reach it, chances are, you probably can. Of course you’ll spend as much time skulking as you will performing acrobatics (especially once you get enough points to buy magic legs), and crouching has a few extra bells and whistles compared to the old days. Edging under tables and other low furniture results in an even lower crouch, while you can dive into bins and close the lid to wait for alerted guards to calm down. I’m not very good at stealth, so bins saved my bacon the few times I didn’t have a handy roof to dart onto. Obviously, since the GOTYE includes all the DLC, the game proper begins with a metric fuckton of extra loot. Ha ha ha, watch me go and have dinner while you give up, guardface. 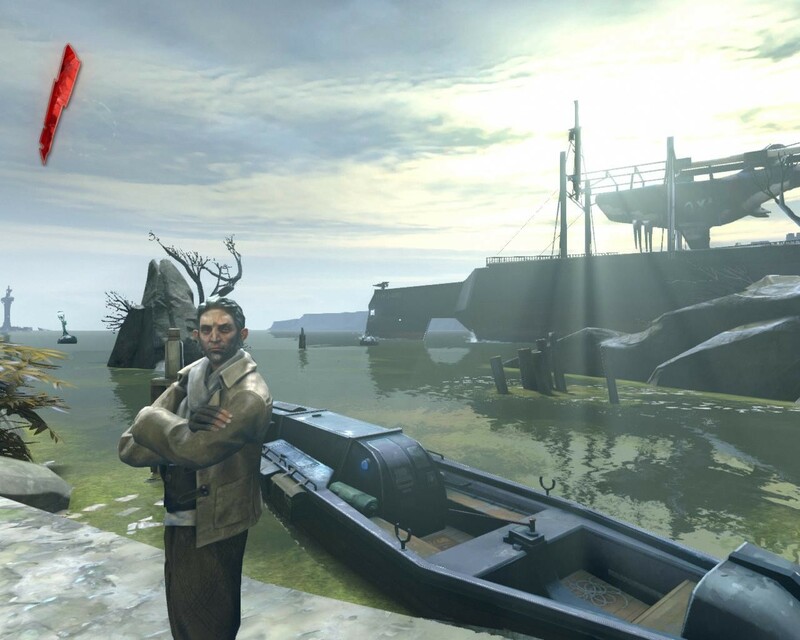 The levels are plenty varied and offer a broad mix of different avenues and options. Guards patrol the streets while plague victims lurk in abandoned houses, standing between you and the precious loot required to buy equipment and magic powers. I guess the real kicker is that there are a lot of guards. 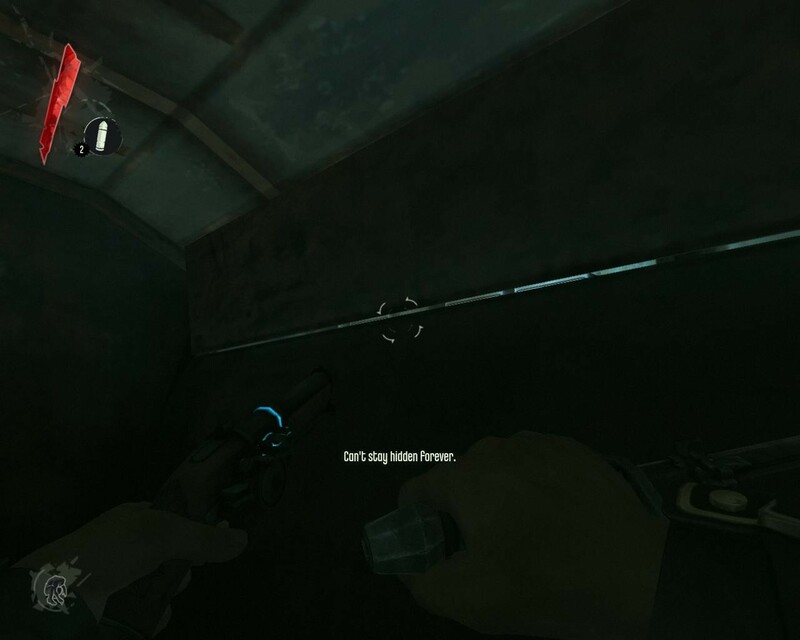 If you’re going down the non-lethal route, it is pretty much impossible to clear a level — you are limited to carrying only 10 sleep darts, and they are incredibly rare so effectively no refills on the job. 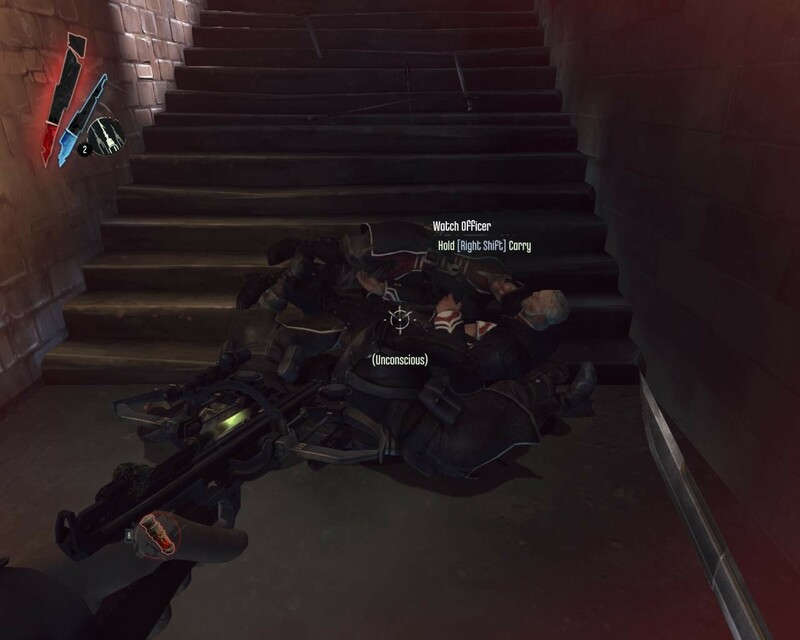 While guards can be strangled into sleep without spending ammo, to do that you have to take them completely unawares and from behind. Which is, well, difficult. 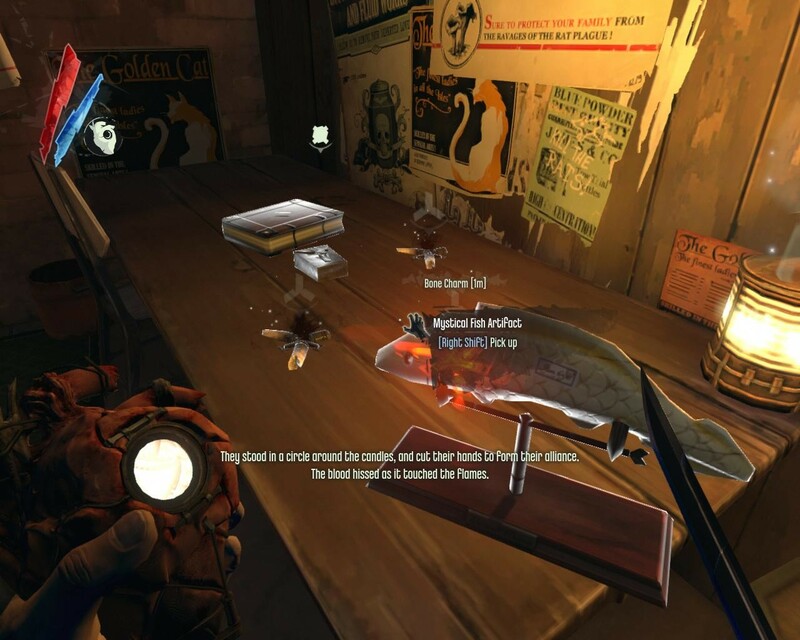 Unlike in Deus Ex where you have the stun prod and loads of tranquiliser darts, to be a nice man in Dishonored you really do have to be a top class sneak. When you get backed into a corner, you have to tranquilise them all. The even more perfect thing is that, while normal enemies will be fooled, enemies on high alert will crouch to look under the tables. Except the game is really really heavy-handed with its morality. 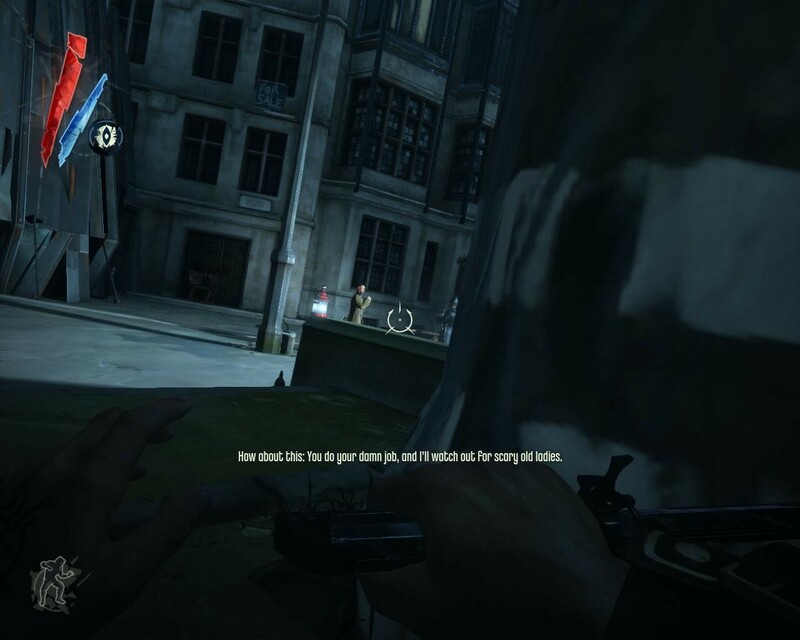 While your primary objective tends to be kill somebody, every mission reveals a non-lethal option — and it takes great pains to tell you so, with a giant (NON-LETHAL) in front of it. Rather than just presenting you with the options and potential consequences, which is brilliant and all credit to them for working that stuff out, they spoil the mood by calling it out as the one true course of action rather than an equal possibility. Loading screens also kept telling me that a high bodycount would result in more rats, plague victims and “a darker ending”. Rather than discovering for myself whether or not I want to be nice or nasty, and seeing my actions reflected in the game world (and having the negative aspects played back in increased challenge)…No, they just had to say it straight. Bit of a mood-killer. … Obviously in real life I don’t believe in the death penalty. That’s why I play violent video games, so I can be a namby-pamby lefty liberal pacifist in the real world. Despite the world’s emphasis and reliance on whaling, you are never treated to a level on a whaling ship. Oh me oh my, I wonder what I need to do to win through this segment? 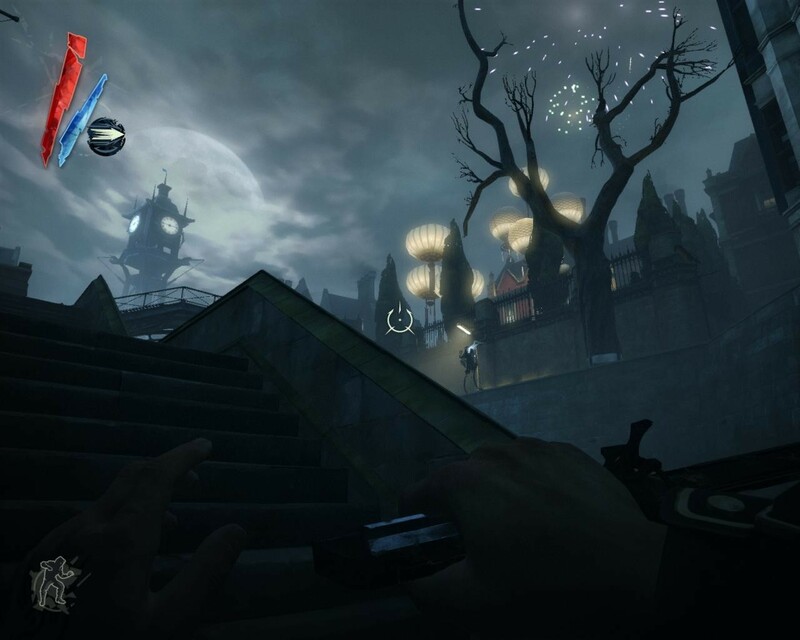 The interface is similarly heavy-handed; while the game gives you intense freedom to find your own way through the levels, the UI lights your way with big, pulsing icons. I don’t like objective markers because they turn twisting, exciting spaces into straight-line dashes to the end. I would rather be given a map, so I can plan an approach that takes account of the world, rather than dragged by the nose along the shortest possible route (becasue deviation from The Line is punished by arrows around the edge of the screen). On the other hand, it’s even more frustrating when a marker pops up and you cannot for the life of you find a way in. The good side is that all of these icons can be disabled. The bad side is that… Nobody actually tells you where to go. I was told to poison the bootleg still of the Bottle Street Gang, but Granny Rags neglected to mention that they occupied the old distillery. Then on returning home to our secret base one time, I was told that Lord Pendleton wanted to see me — but he wasn’t lurking in his bedroom or the pub like I expected. Nobody thought to tell me he was hovering around the base of the tower. It seems simple, but it completely jars when characters in the game don’t even provide the most basic directions — instead subconsciously relying on those annoying little icons to pull you towards your fate. 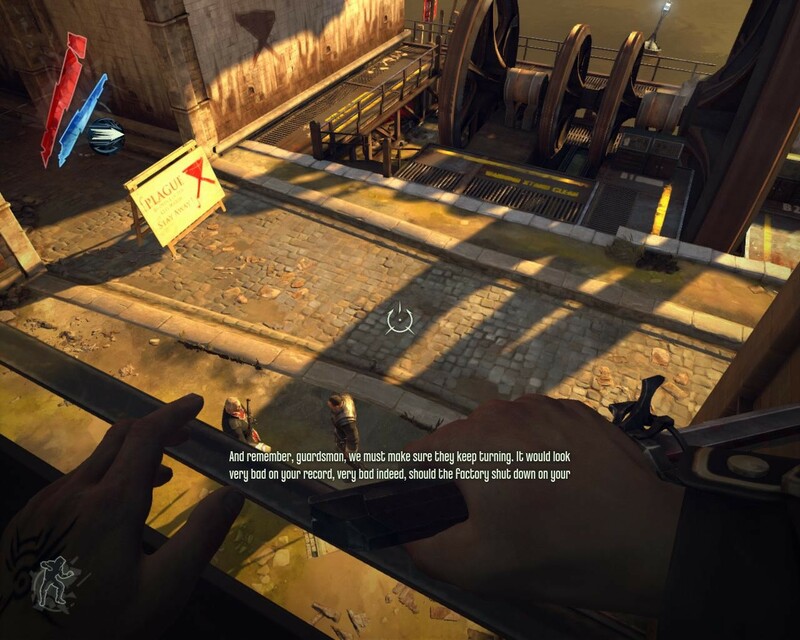 The interface in general is a bit squiffy, actually — the entire menu system, for example, is canted at an annoying angle, while the HUD elements are overlarge and have unsightly half-transparent splatters behind them. Oh yeah, and the cursor hides under the black bars that letterbox the screen when you’re in menus. That one’s a doozy. Once you’ve started the game, a creepy emo approaches you in your dreams and gives you magic. When the magical x-ray vision fails, there is always plain old leaning. Well, I’ve still got some DLC packs to go, so we’ll see if they can’t perk things up a bit. 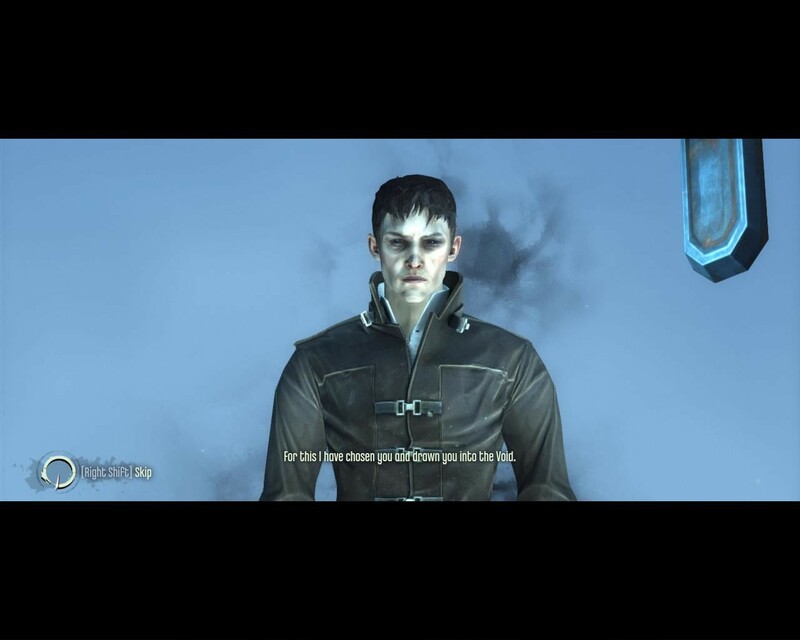 This entry was posted in Gaming and tagged Arkane Studios, Dishonored, FPS, late to the party, RPG elements, sneak 'em up by Rao Dao Zao. Bookmark the permalink. Those are some valid criticisms, but I too thought the game was overall an enjoyable experience with a dark, grimy setting and fun powers. I solved the morality problem by becoming the persona of Ratman dispensing justice to evil-doers via the medium of devouring rat swarms. I once had to watch on in horror as I accidentally unleashed some rats in the Doctor’s house, and they ate the unconscious guards I’d left on the floor. After that, I always kept a few grenades handy to disperse the little blighters. Enter your e-mail address to receive word of new excerpts by e-mail.